Today’s workforce approaches satisfaction very differently than employees in the past. No longer will a fat paycheck guarantee an organization the best talent they need. Numerous workplace surveys and research conducted on modern-day workforce trends have shown that in order to attract top talent, companies now need to build a culture of employee recognition. So how do companies create a successful work culture that embraces employee recognition at its heart? Here are 5 ways to establish an environment of lasting employee recognition. If you see something done well, feel free to say it. Don’t let a position of seniority or a job title in the office get in the way of offering honest and sincere praise. Make sure that everyone throughout the organization understands this as well. When people are praised for the good work they do, it helps motivate them to do something even greater. Greatness and success can be accomplished by anyone, regardless of their position or experience. When companies build a culture where every minor mistake made by an employee becomes a serious issue, employees are constantly on edge and hypersensitive of anything that might go wrong. On the other hand, when companies build a culture of employee recognition, where appreciation is transparently channeled, the office environment becomes a comfortable, enjoyable and fulfilling experience. Appreciation of the good work done by employees should be channeled throughout the organization. When an employee deserves praise, make sure that the message doesn’t remain a private affair. Other members of his or her team or sometimes even the whole company should be made aware. Recognitions and improvements should also be tracked appropriately to help make goals and determine progress during employee reviews. Enterprise workplace tools like MangoApps make sharing accomplishments and tracking recognition easy with all kinds of built-in modules and integrated features specifically designed for sharing, tracking and storing employee success. All work and no play still does make Jack a dull boy. Don’t burden your employees with an endless list of tasks or constantly give them one project to work on after another. Once an individual or team reach certain objectives or successfully complete a project, organize a planned break from the regular work schedule. A break from work could be anything from time off to a group trip to a team bonding activity. Even just changing tasks for a day or two and letting employees work on something a little different can be refreshing. Providing a much-needed break improves team productivity levels and helps them feel valued and appreciated by their company. Tools like MangoApps help employers plan better breaks by creating surveys about different ideas and activities. Every employee is a unique person with individual interests and characteristics. A large part of employee appreciation is incorporating those unique elements into celebrated achievements and special occasions. When companies recognize birthdays, work anniversaries, promotions and more they should ensure that some aspect of the gift or reward includes a personal touch. Whenever possible, try to avoid identical gifts like coffee mugs or T-shirts and instead show employees that you know who they are with personalized gifts given with gratitude. Even small personal touches instill greater confidence in employees and encourage them to perform better in the future. Employees today cherish their work-life relationship and will often go to great lengths to find a healthy balance. Companies gain more dedication and better work when they take steps to respect an employees life away from the office. This could involve providing remote work opportunities, offering flexible hours, allowing a relaxed dress code and much more. Empowering employees to make their own choices and live their own lives is an often untapped area of employee recognition that, when executed successfully, boosts company loyalty beyond belief. And with collaboration technology like MangoApps, conducting business with such flexible schedules is easier than ever. Businesses can now connect with employees from anywhere in the world and employees are able to work around limitations or personal concerns, creating a win-win situation for everyone involved. Encouraging a culture of continuous employee recognition will almost always be beneficial to organizations in the long run. At MangoApps, we believe in supporting both employers and employees in providing supportive employee recognition. 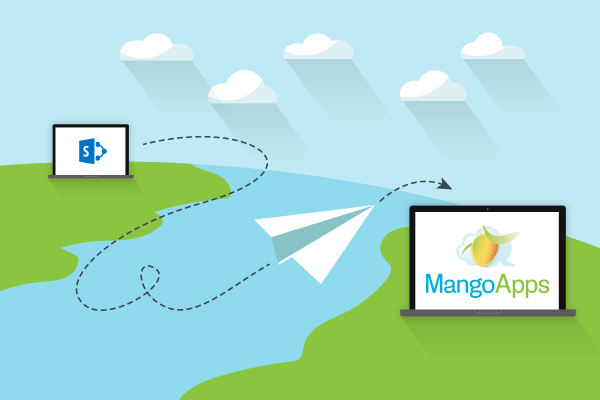 With a wide range of employee management and enterprise collaboration options to offer, MangoApps enables teams of all sizes to feel recognized for their efforts. Our tools make it easy to share praise, gauge interest, and personalize rewards while also cataloging and keeping track of recognition, productivity and success. To learn more about Mango Intranet or other MangoApps offerings that help your company build a culture of employee recognition, contact us or schedule a demo with us today.